Re-discovering the grandeur of the mighty Kimberley region of Western Australia. Phillip Parker King was one of Australia’s greatest maritime surveyors, and in a succession of arduous voyages between 1817 and 1822, he explored much of the awe-inspiring Kimberley coast. Almost two centuries later, the Kimberley endures as a vast and virtually impenetrable wilderness; however modern-day explorers need not suffer the hardships encountered by King. In September 2007, the award winning 50-metre TRUE NORTH, will cruise the very same waters plied by King, joined by leading Western Australian geologist Dr Phillip Playford, as our onboard guest presenter. 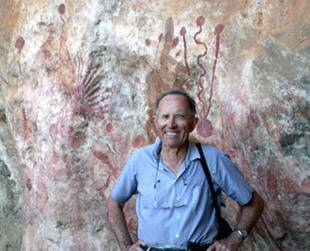 Join Dr Playford on a series of expeditions and presentations featuring the history and geology of the Kimberley coast. Partake in visit’s to the site of George Grey’s first discovery of Wandjina Art and the Mermaid Tree at Careening Bay visited by Phillip Parker King in 1820. Other activities include visits to spectacular gorges and unexplained ancient rock art, swim in majestic waterfalls, encounter crocodiles and other extraordinary wildlife, experience our renowned ‘helicopter picnics’, and fish for monster barramundi.